No one would choose anxiety. And there is no "off switch" to turn off the anxious feelings and thoughts. These feelings can often disrupt your sleep, compounding the anxiety even further. If anxiety and fear is problem for you, this audio program can help! Do you often feel stuck, frustrated, and powerless to do anything about your anxiety? Well you are not alone! Approximately 40 million Americans, about 18% of the population, suffer from some form of anxiety. But there is a way to move forward, a path to living the life you so desperately want. This audio program will help you get started on this new journey today! 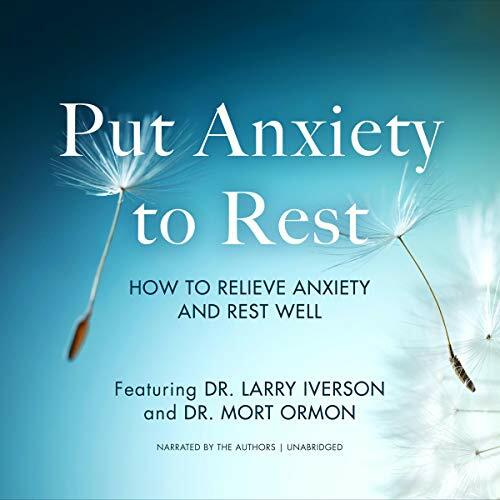 Join Dr. Larry Iverson, Clinical Psychologist, who uses enthusiasm and humor to help you gain control in your life, and Dr. Mort Ormon, stress coach and founder of the Stress Mastery Academy to relieve stress, enter relaxation, and sleep well.